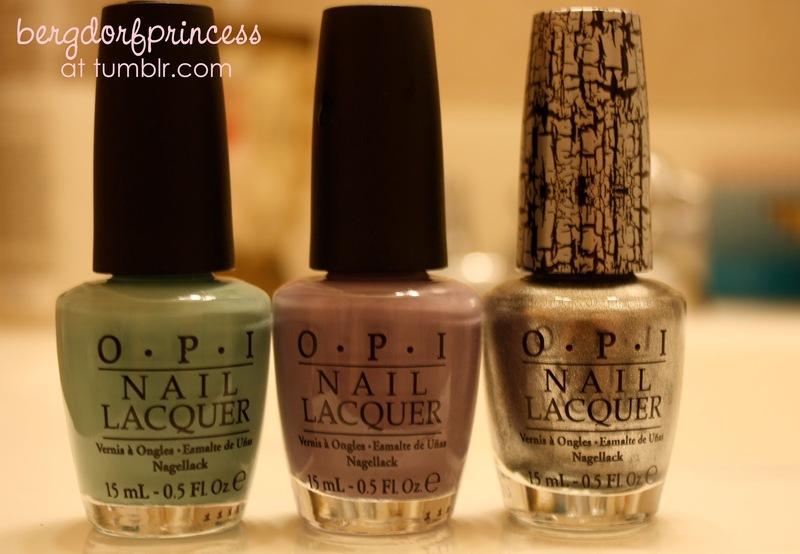 I ordered the entire Pirates of the Caribbean collection from OPI and I am quite pleased with it. The colors are all very lovely. I haven't used them all yet, but I have swatches of the ones I've tried! Here is my favorite: Mermaid's Tears. It's very similar to Tiffany blue, which is an awesome color! I also really love Stranger Tides. It's a murky green shade that looks absolutely stunning! I also purchased two cult favorites - You Don't Know Jacques and Lincoln Park After Dark. 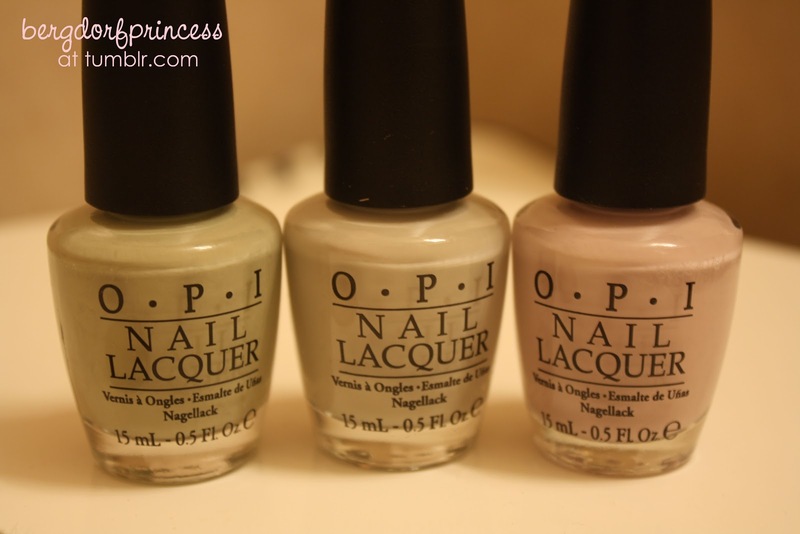 This is my current OPI collection. It's not colossal or anything like that, quite the contrary. I only recently started buying nail polish (like, within the last couple of months), but there are lots of OPI colors on my wishlist! I bought Peridot, despite having initial misgivings about the color. It looks very nice on - it's a mixture of gold and green. I also tried out two of the FNO colors - Blue Rebel and Coco Blue. I've yet to put on Blue Boy. Blue Rebel is a very cool dark blue. I found that it chipped easily though. 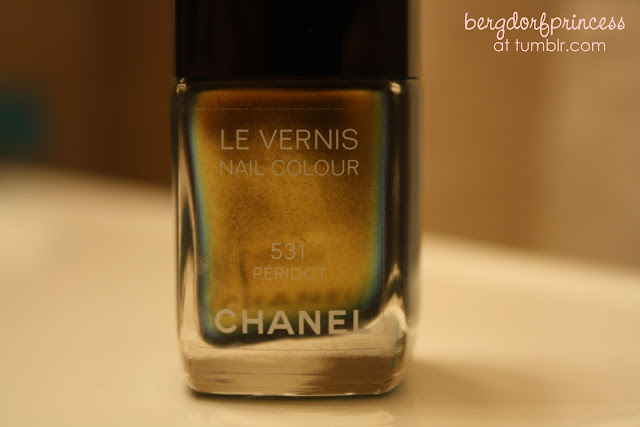 :( My other Chanel nail polishes don't chip a lot at all, so that was kind of a bummer. Rose Insolent is great but I really love Rose Confidentiel. You should try Nouvelle Vague since you seem to like comparing your colors to Tiffany & Co. Orange Fizz is a fun one, and I think the best blue right now is Blue Steel. Omg, I love Mermaid's Tears & all the blue Chanel shades. Peridot is gorgeous too! You seem to really love Tiffany blue...me too! 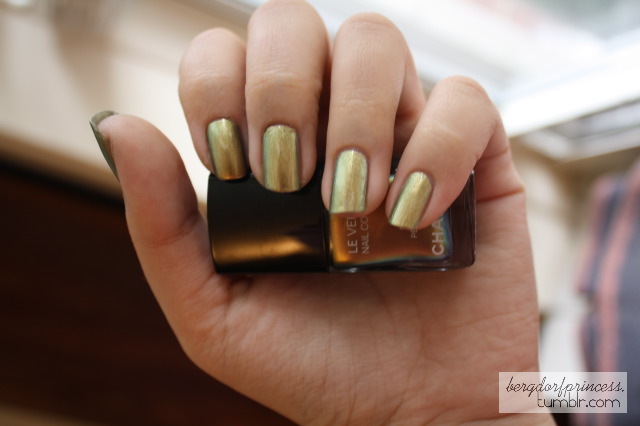 You should try China Glaze's For Audrey. It's an exact replica of the Tiffany color!